Texas fair-lending advocates are applauding the Consumer Financial Protection Bureau for issuing the first rule meant to rein in abusive practices by the payday and auto-title lending industry that often put borrowers in a debt trap. Specifically, the new rule requires lenders to assess a borrower’s ability to repay the loan while also maintaining basic living expenses, limits the cycle of ongoing refinancing, limits the number of times a lender can attempt to collect from a borrower’s account and imposes a 30-day “cooling-off period” after three back-to-back loans. The CFPB was created in 2011 to provide protection to consumers in the financial sector. The agency was authorized by federal legislation passed in the wake of the financial crisis of 2007-2008 and resulting Great Recession. 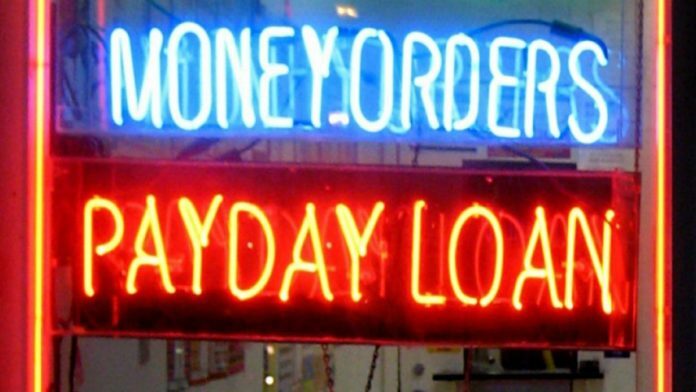 Predatory lending is a major issue in Brownsville and the Rio GrandeValley, where large numbers of low-income residents without access to traditional loans turn to high-cost auto-title and payday loans. Two fair-lending advocacy groups, the Texas Fair Lending Alliance and Texas Faith Leaders for Fair Lending, said the new rule is an important step for the state, where payday and auto-title lenders exploit loopholes to charge unlimited fees, making it difficult for borrowers to pay back the high-cost loans. From 2012 to 2016, Texans paid $7.5 billion fees alone for such loans, often paying more in fees than the value of the original loan, while 186,685 families lost a vehicle to an auto-title loan — again, frequently after paying more in fees than the value of the original loan, according to TFLA and TFLFL. Traci Wickett, president and CEO of United Way of Southern Cameron County, which also advocates for fair lending, said the average payday loan in Texas carries an annual percentage rate of more than 500 percent, while auto-title loans resulted in more than 32,000 vehicles being repossessed in the state last year. Wickett said the new rule complements the “unified ordinance” movement in Texas, in which more than 40 cities have adopted identical ordinances aimed at protecting residents from abuses by predatory lenders. The unified ordinance, which Brownsville adopted in 2014 and which has withstood multiple court challenges from the payday and auto-title loan industry, covers a broader scope of uncapped loans than the CFPB rule. Noting that Congress still has 60 session days to make a decision on the CFPB rule, Wickett encouraged residents to contact their legislators if they support the rule, and recommended the Texas Appleseed website as a convenient way to do so.